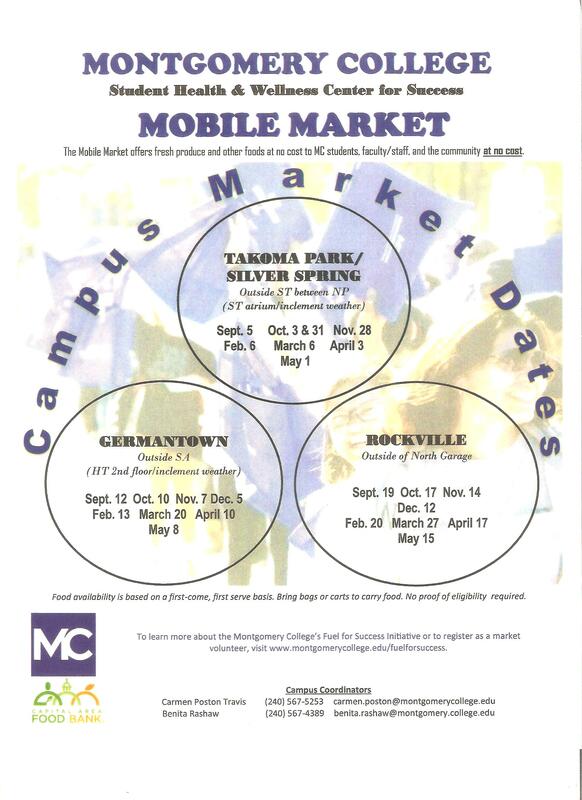 The Mobile Market Event is returning to all 3 Montgomery College campuses this Fall 2018. For those of you who have never been to this event, the college will be giving out free groceries on the dates listed on the flyer below and it is available to everyone. At the event, you will first sign in by taking a quick anonymous survey then you will receive a grocery bag and volunteers will begin handing you groceries. Feel free to bring your friends and family to all 3 campuses if you want more food. It is recommended that you arrive before the scheduled starting time. Food supplies are on a first come first serve basis.